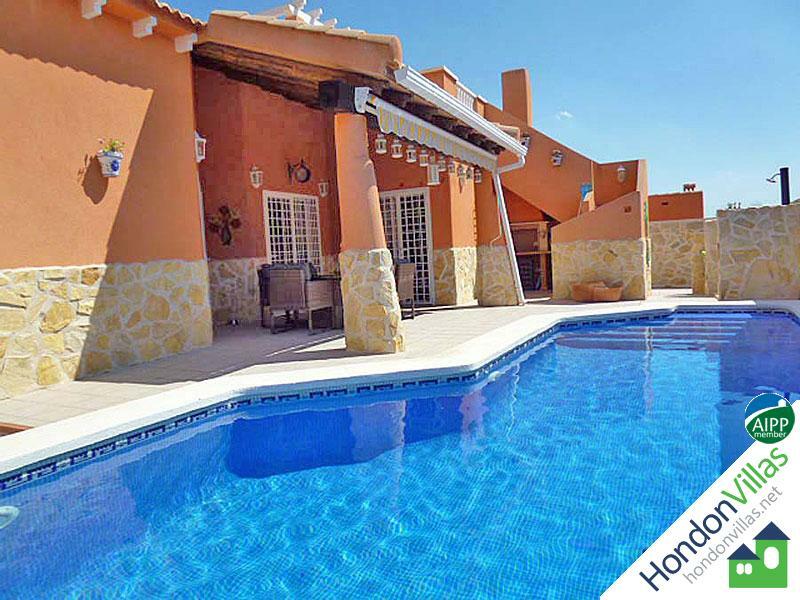 Hondón Villas are delighted to bring onto the market for sale this 2 bedroom 2 bathroom detached villa with private swimming pool. The villa is maintained throughout and has been finished with high quality materials. The kitchen is bespoke and has been carefully designed to provide plenty of storage space and work surfaces. The lounge is bright and sunny and is open plan to the dining area, as well as having a feature gas fire and double doors leading through to the pool and terrace. Moreover, there are two double bedrooms, both with fitted wardrobes and air conditioning. The master has an en-suite and there is also a family shower room. 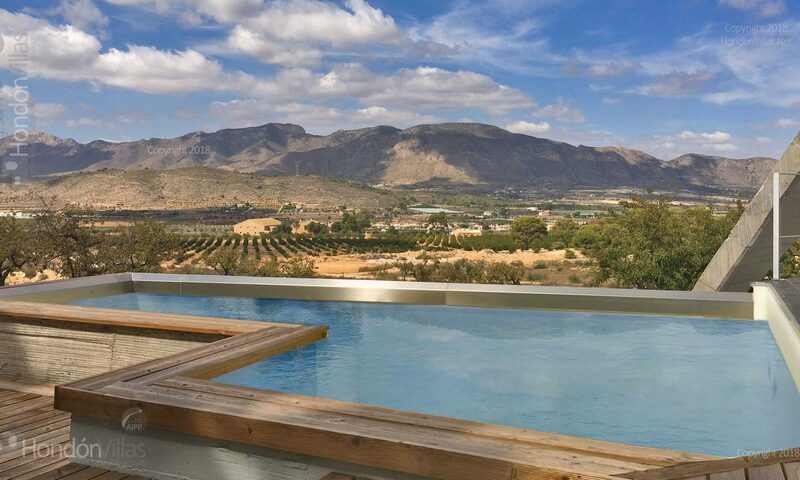 The villa is close to the popular thermal spa baths and within walking distance to bars and restaurants. Finished to a very high standard, this property is definitely a must view! !